An old-fashioned theology professor of mine once suggested that reading cheap detective novels is a sign of moral decay. When the parson is addicted to ‘whodunnits’, it’s evidence that spiritual rot has set in at the vicarage. But I beg to differ. 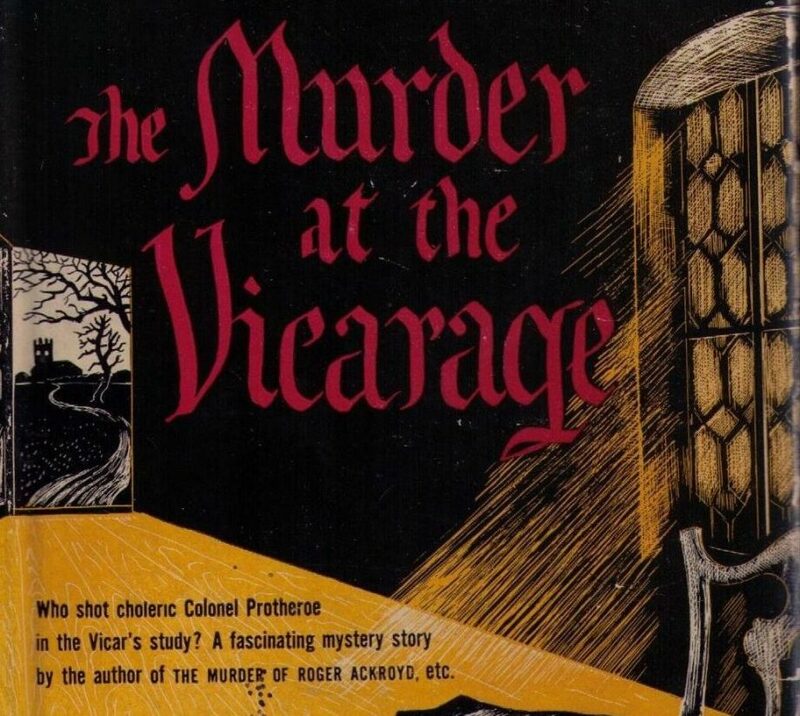 Christian writers have long been attracted to crime fiction as a genre. The Catholic writer GK Chesterton was as well-known for his quirky priest-detective Father Brown as he was for his Christian apologetics. The Anglican lay woman Dorothy Sayers was offered a Lambeth Doctor of Divinity by the Archbishop of Canterbury for her works of popular theology, but it is as the creator of the aristocratic sleuth Lord Peter Wimsey that she is better remembered today. More recently, PD James’ love of Anglicanism was apparent in a number of her Adam Dalgleish novels (the title of one – Devices and Desires – is a quote from the Prayer Book). James Runcie, son of former Archbishop Robert Runcie, continues the tradition today in his Grantchester series, featuring crime-solving vicar Sidney Chambers. The Catholic priest and writer Ronald Knox, whose work is less well known today, not only wrote detective stories himself, but also produced a tongue-in-cheek set of ‘Ten Commandments’ for aspiring writers, as a guide to the conventions which governed the golden age of crime fiction in the first half of the 20th century. The criminal must always be someone mentioned in the early part of the story, for example, according to Knox’s decalogue, but must not be anyone on whose thoughts the reader has been able to eavesdrop. No supernatural agencies, mysterious unknown poisons, or identical twins, are permitted, and no more than one secret room or passage. The intelligence of the detective’s pleasant but dim sidekick (an essential device for explaining the plot) must be slightly, but only very slightly, below that of the average reader. But I like to think that the detective story goes beyond mere entertainment – a book to while away the Christmas holiday. It’s often said that Chesterton’s Father Brown stories were also a way of conveying his religious view of the world. The Marxist theorist Antonio Gramsci observed that Father Brown solves crimes in a distinctly ‘Catholic’ way, relying on introspection, psychology and insights from the confessional, as much as external evidence and reason. There is also something about the conventions of crime fiction which mirror the life of faith. When the body is discovered, and the means, motives, and identity of the assailant remain unknown, the reader trusts nevertheless that in the end the mystery will be solved and justice will be done. In the final denouement, when participants are gathered together and the detective reveals the truth, it becomes clear that the clues were there to solve the puzzle all along, for those who had eyes to see them. There should be nothing random or unintelligible here. Red herrings a-plenty, but ultimately no loose ends. Return to the beginning, read the novel again, and all should make sense. These conventions, fundamental to the detective story, are also the basic convictions of religious faith. In a world of sin and violence, we hope nevertheless that justice will be done. In a world which seems senseless and confusing, we strive nevertheless for meaning and truth. The clues to the story in which we are enmeshed are all around us, though we struggle to decipher them now. But to live by faith is to hope that one day, in the end, despite our failures, we will be able to look back at what we could not or would not understand at the time, and make sense of it. It is to hope that one day, when all is revealed, we will finally come to see, with wonder and amazement, the truth that was already there, in front of us, all along, from the very beginning. Well done! This faraway reader of detective fiction (both English and American) heartily concurs. As with faith, so with life, it’s often by returning to the beginning that we see the sense there all along. Fitzgerald gets it right in ‘The Great Gatsby’ with his image of the boater moving forward with sense in his wake: “So we beat on, boats against the current, borne back ceaselessly into the past.” Something like that.